Information about closing or delaying school due to inclement weather. The Gahanna-Jefferson Board of Education will meet for a regularly-scheduled Student Learning and Achievement Committee meeting at 6:30 p.m., at the Gahanna-Jefferson Public Schools Clark Hall, Room 323, 380 Granville Street, Gahanna, Ohio for the purpose of discussing student learning and achievement. The Gahanna-Jefferson Board of Education will meet for a regularly-scheduled finance committee meeting at 6:30 p.m. on the second Tuesday of each month (the Tuesday directly before the monthly regular Board of Education meeting ), at the Gahanna-Jefferson Public Schools Board of Education offices, 160 S. Hamilton Road, for the purpose of discussing district finances. Clark Hall, 380 Granville Street, Gahanna, OH 43230. GJPS Summer School Registration begins at noon on Monday, April 15, 2019. You can find more information about GJPS Summer School here. LOCATION CHANGE: Please note the Student Learning and Achievement Committee Meeting scheduled for Tuesday, April 23, 2019, has changed locations to Clark Hall, 380 Granville Street, Gahanna, Ohio. Kindergarten Enrollment for 2019-2020. Welcome Gahanna Families with children who will be 5-years old on or before August 1, 2019! Kindergarten registration for the 2019-2020 school year begins February 25th, 2019. 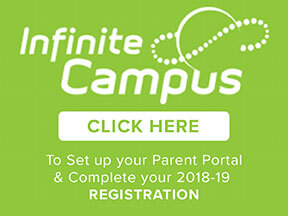 Please click here to begin the process to enroll your child for Kindergarten. 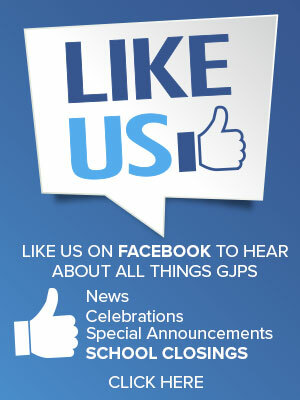 The GJPS March Newsletter is now available. Career Cafes were held at Gahanna Middle School East, Middle School South and Middle School West to give students the opportunity to learn about careers in the field of architecture and construction management. High Point Elementary Leadership Teams are giving students the opportunity to explore interests while sharpening their leadership skills. During the month of February, students, parents and staff at Jefferson Elementary celebrated Be the Change Week! Gahanna-Jefferson Public Schools will celebrate its 25th annual All-District Jazz Festival beginning at 7 p.m. Tuesday, March 19, in the Gahanna Lincoln High School auditorium. Join us for the 42nd annual Varsity Varieties at 7:30 p.m. Thursday, March 14, through Saturday, March 16, in the GLHS auditorium, 140 S. Hamilton Road.